A contemporary cathedral city with over 2,000 years of history, Lincoln is the perfect place to visit over the festive period. Take a trip back through time and stroll along the cobbles the cultural quarter of the city. The medieval square between the impressive Norman castle and magnificent gothic cathedral is the perfect backdrop for the Christmas Market. 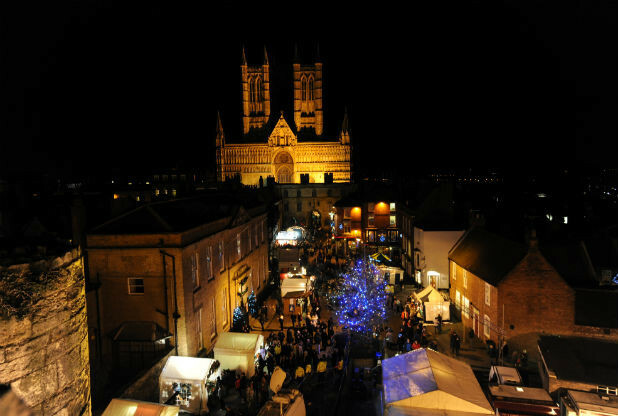 Lincoln Christmas Market has developed dramatically since it began with just 11 stalls. The Christmas Market gives visitors and residents a truly festive experience, with a traditional, high quality event for all the family.